I have no idea how many accounts I've signed up for. As such, there are bits of my data all over the web. Could the web work without us giving our information to every website? I can never remember, was it an 8086 or the ABC 80? Both were computers I had the privilege to play with as a kid. My dad taught computer science at a local school, which gave me the occasional chance to tag along with him to the CS classroom. The school, which I never attended myself, always felt slightly mystical. I never saw any of the pupils. It was always just the two of us, except maybe once we caught a glimpse of a janitor doing some cleaning. That place, the after hours school, was a place I loved visiting. Thinking back to those computers, it's more than clear how far we've come. I can still hear the sound of starting up those big metal boxes. The plastic floppy disks gave an oscillating sound when they wound up, shortly followed by the screeching sound of the magnetic head reading data at breakneck speeds of multiple kilobytes per second. Most of the 8086's had two floppy drives, as you needed one drive for the OS and another for programs and storage. While the teacher's computer was specially fitted with an enormous 20 MB hard drive, many of the other computers still relied on cassette tape drives for storage. I shudder to think how much it must have cost, but I loved it. Sadly, my friendship with the Turtle was cut short. The Turtle was owned by the school board and its time in this school had ran out. This brings our story back to Jungle Quest. After the Turtle was gone, something had sparked in me. The buzzing motors of the moving robot had done its best to distract me from what was to come my future. Now, Logo as a language never grabbed me. I never wanted to learn it any more than was necessary to have the crude robot knock over a bottle. But once the robot was out of the picture, I realized I wanted to know more about how the programming works. My dad was quick to point me towards my first programming language, BASIC. To me, BASIC seemed then like the universal language. After all, both types of machines the school was equipped with had it. 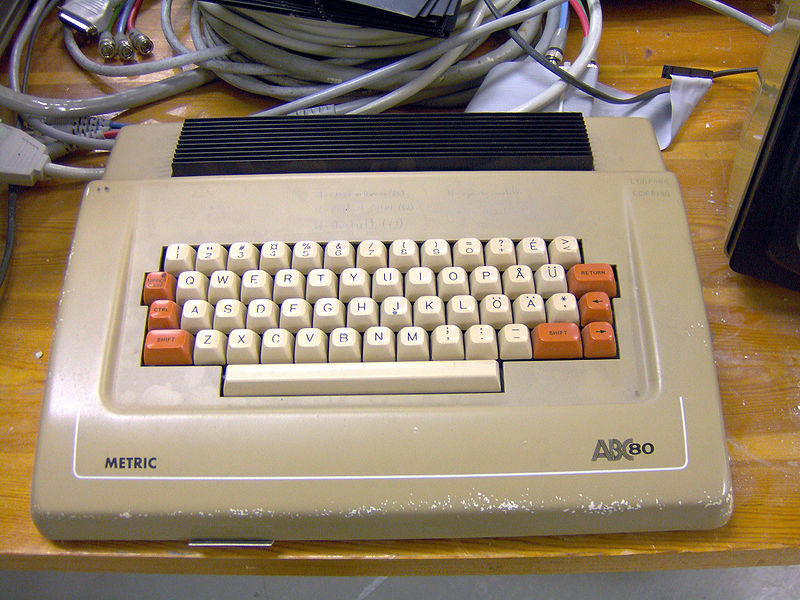 The ABC 80 booted up in BASIC and the 8086 had gwbasic.exe (how can I remember that command, but not what groceries to buy?) . With BASIC, I started learning programming. One summer my dad borrowed an ABC 80 and took it home. For me, this was a big opportunity. The time to learn. What I decided to do, of course, was to write a game. What else would a kid want to write, a spreadsheet? You are in a jungle. There is a hole covered with leaves in front of you. What do you do? Hint: "jump over hole" works, but "walk around hole" or "ujmp over hole" would mean game over. The game had, I think, a glorious three tasks like this. Once I got a hang of how such an adventure could be written, I got bored with writing the script and the endless jumbled mess of if then .. else .. if then .. if then .. else .. end else . Despite its shortcomings, this was my first real program and I felt massively proud of. It also showed me, in a very concrete way, of how important structuring your code is. But most importantly, the flame was now lit. Okay, so I lied. I always knew it was the ABC 80. How could I forget?